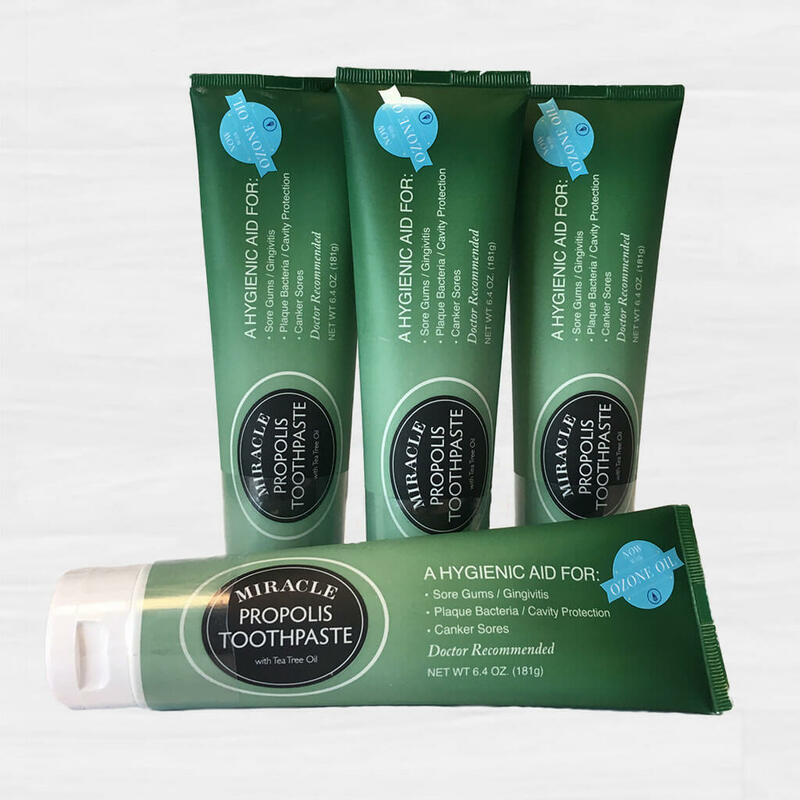 Developed with maximum strength Propolis and Tea Tree Oil to promote healthy gums and minimize mouth infections. Cleans teeth and freshens breath. Ingredients: Propolis, Tea Tree Oil, Natural Vegetable Glycerin, Xylitol, Hydrated Silica, Calcium Glycerophosphate, Cellulose, Essential Oils of Eucalyptus, Sweet Fennel, Spearmint, Cinnamon, and Peppermint. Allergy Warning: Inadvisable for individuals with a know sensitivity or allergy to bee products.